The former Highgate Brewery which has failed to sell at several auctions has been put on the market for almost £1 million. The brewery in Sandymount Road, Walsall, failed to sell with a guide price of £850,000 at a Villa Park auction in December 2016. The Grade II listed building, which opened in 1898, is now being marketed with Birmingham-based property retailer Siddall Jones at £975,000. 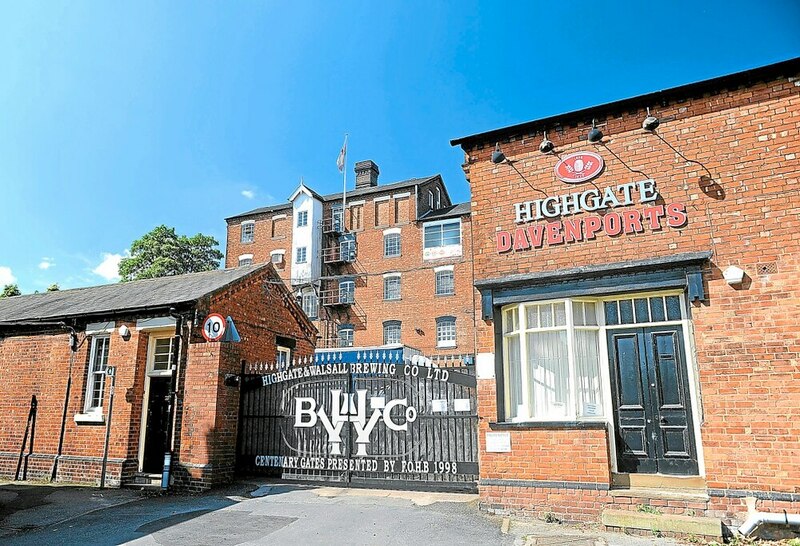 The site provided Black Country folk and leather workers in the town with the famous brew Highgate Dark Mild. And at its peak, the brewery employed 65 workers – producing 100,000 barrels a year and providing its beer to more than 400 pubs and clubs across the region. Councillor Aftab Nawaz, who represents the St Matthew’s Ward, can see site being converted into homes – but called on the building’s heritage to be respected if redeveloped. “I hope someone will come forward and buy the brewery,” he said. “It is an historic building and one would wish that the history and heritage of the building and local area would be maintained if it is redeveloped. “We need to make sure the building is used and there is nothing worse than having these buildings left empty. I hope it does get sold and I’m sure that the heritage of the building will be used. “The fact that the brewery is not feasible as a brewery – it is not going to to go back to its original use. “I’ve always supported respecting the heritage and history of Walsall. The way the building is makes it look like its almost made for flats – it’s quite a big space and myself I can see apartments going there. The property comprises of a five storey, Grade II listed Victorian brewery of traditional brick construction with various out buildings to the outskirts of the site. The Friends of Highgate Brewery, which was launched to help save the preserve the site have previously called for a ‘sympathetic development’ on the site – reflecting the brewery’s heritage and preserving its history. It closed in June 2010, with the loss of 22 jobs, and failed to sell at an auction two years later in 2012 before going under the hammer again with a £850,000 guide price in 2014. The 3,103 sq m site is just off the A34 Birmingham Road, within walking distance of Walsall town centre. Further buildings include a single storey bar and marketing suite, a two-storey office building as well as a further brick-built building. Walsall Council produced a report three years ago saying the site faced being turned into housing if no businesses took over.